We love our morning cup of brew, but how much is too much? How much coffee is safe during pregnancy and kids? Why might caffeine be helpful for athletes? What is the scoop on the latest trend in bulletproof butter coffee? Read on for answers to these questions and more. How much caffeine is OK to consume? 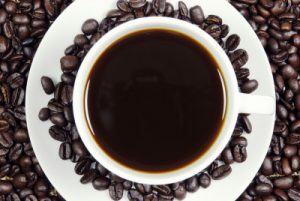 Caffeine is a stimulant that is found in coffee, tea, cocoa, chocolate and energy beverages containing ingredients such as guarana and yerba mate. 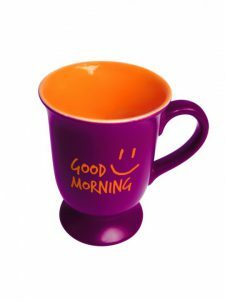 Caffeine is, of course, best known boosting mental alertness and helping lessen fatigue. Based on scientific evidence, adults over 18 years of age are advised to have less than 400 milligrams of caffeine per day. This is the amount found in approximately two to three, 8-oz (250 ml) cups of coffee. Some people are more sensitive to caffeine than others. If too much caffeine is consumed it can cause insomnia, anxiety, irritability, rapid heart rate, stomach upset and headaches. If you are consuming too much caffeine, reduce your intake gradually to avoid uncomfortable symptoms such as fatigue and headaches. Try mixing your regular coffee with half decaffeinated coffee or substituting with some non-caffeinated teas. Is it safe to have caffeine during pregnancy? Since caffeine passes through the placenta to a baby and babies takes longer to process caffeine, pregnant women are advised to be extra watchful of how much caffeine they consume. Pregnant women should consume less than 200-300 milligrams of caffeine per day. This is the amount in about one or two 8-oz (250 ml) cups of coffee per day. High levels of caffeine can contribute to miscarriage, premature birth or delivering a smaller baby. Is caffeine safe for children? Although no current guideline for teenagers exist, a guideline of 2.5 mg/kilogram of body weight is also likely a good idea. Energy drinks and iced coffee beverages are popular with kids but should be avoided altogether. Since pop is the largest source of caffeine for kids, be aware about how much pop your child is offered. How might caffeine enhance athletic performance? Since caffeine stimulates the central nervous system and increases alertness, it can be performance enhancing for athletes (especially endurance athletes in sports such as triathlon and cycling). Caffeine before or during sports can help delay fatigue, increase endurance and simply make an athlete feel like the exercise is less difficult overall. Research has established 1-3 mg/kg body weight ingested before or during prolonged exercise may improve performance. For example, a 75-kg person could try 70- 225 mg caffeine by having a cup or two of coffee before exercise or by caffeine containing energy gels or tablets during exercise. It is important to note that tolerance to caffeine is highly variable and can have side-effects such as stomach upset, increased heart rate, nervousness and reduced fine motor control. Work with a sports dietitian and be sure to test caffeine in small amounts during training before competing at an event. Are the nutrition claims behind butter coffee really that bulletproof? Butter coffee or “bulletproof coffee” became popularized by entrepreneur Dave Asprey. Years ago, he discovered the practice of butter being added to tea while trekking through mountains in Tibet. Asprey founded Bulletproof coffee by taking the butter tea concept and applying it to coffee. The standard recipe includes adding a tablespoon of grass-fed butter and one to two tablespoons of MCT or medium-chain triglyceride oil (which is a blend of coconut oil and palm oil) to coffee until frothy. While claims are that Bulletproof coffee will aid in weight loss, increase health and lower food cravings, this is not likely true. The added fats contribute a whopping 240 calories to your morning cup of brew. While fat does take a long time to digest and can contribute to a feeling of satisfaction, so does eating a healthy balanced breakfast meal full of nutrients that can aid in long-term health. My vote? Skip the bulletproof coffee and stick to your standard cup of morning brew. Eat your calories in the form of a healthy breakfast and save your added fats for foods you need to eat more of (such as veggies) that can benefit from their mouth-watering taste. 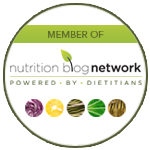 If you have more, burning, questions about hot coffee, or how to find balance in your eating plan – we can help! 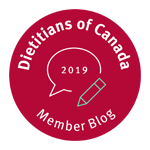 Work with one of our friendly Registered Dietitians at our Calgary office or alternatively by phone or Skype. 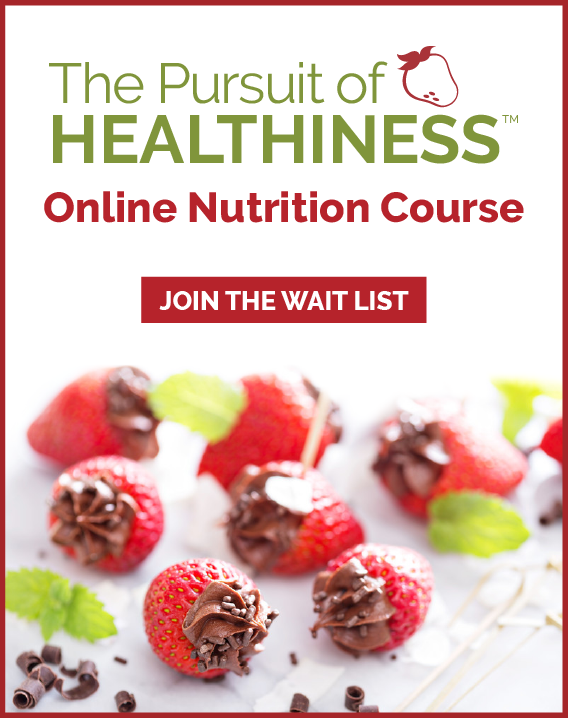 Explore our Nutrition Counselling Programs. CAFFEINE 101 – How much is too much?